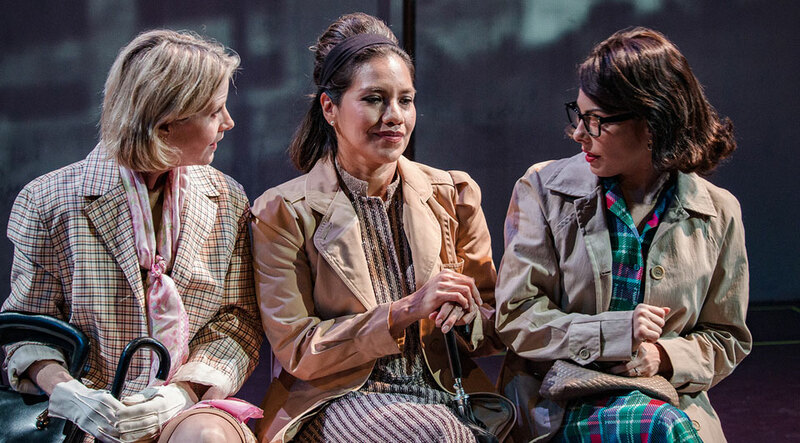 LOS ANGELES—The ever fertile Latino Theater Company is at it again with another powerful play about East L.A.’s largely Latinx working class. It’s set in the melting pot of Boyle Heights in the 1960s. The Mother of Henry is by LTC resident playwright Evelina Fernández and helmed by the company’s artistic director José Luis Valenzuela. This world premiere production runs through April 20. Five diverse employees in the return department at Sears form a tense bond as they cope with upheaval in their personal lives, their community and the rapidly changing world around them during the course of one tumultuous, historic year–1968. Connie (Cheryl Umaña), a Latinx newly separated working-class mother new to her job at Sears is the protagonist. It is through her eyes and experiences that we wend our way through the anxieties and tragedies of war, civil unrest and political assassinations. The central event for her that year is her bright, ambitious son Henry’s induction into the army and shipment to Vietnam. Her co-workers include Olga (Mary-Beth Manning), a blond Canadian woman without children who suddenly is given the opportunity to parent her 11-year-old niece. The office talkaholic is an opinionated, overwrought Loretta (Ella Saldana North), of Italian background, who prefers not to think about anything of consequence beyond her day-to-day creature comforts. 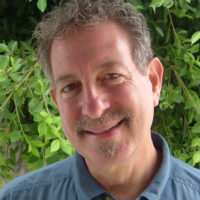 The two men who work with her are Manny (Xavi Moreno), a Chicano whose marital status seems unclear all the while he is trying to put the make on Connie, and Herb, the Jewish bow-tie-wearing, gefilte fish-eating supervisor with decidedly radical political views. “There’s nothing wrong with a Communist,” he answers to a taunt, reflecting on his sympathies or at least broadmindedness. In addition, falling back on Fernández’s trademark magical realism, two heavenly characters inhabit Connie’s ambience: La Virgen (the singing Virgin of Guadalupe, played by Esperanza America), the patron saint of Mexico, and her sidekick Angel (Robert J. Revell) who, sporting two feathery wings, plays the electric guitar to accompany La Virgen’s topical songs of the period and is dressed for most of the action as the indigenous man Juan Diego. On Dec. 9, 1531, according to Mexican folklore, La Virgen appeared to Juan Diego in a story generally interpreted as an attempt to win the native peoples over to the newly imposed religion, Roman Catholicism. More than any other individual in the Mexican Catholic tradition, La Virgen is the figure people look to for spiritual guidance and help. Murals dedicated to her flourish all over East L.A., and her image is found in a large percentage of Mexican-American homes. 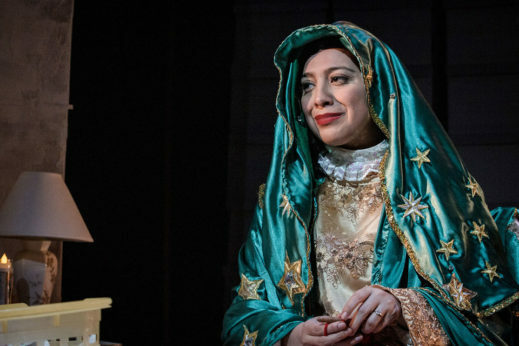 Esperanza America also plays Connie’s cackling Mamá in a heavily robed wheelchair and costume that obscures her face completely as she prattles on about Connie’s need to pray, confess and recite the rosary. She is among La Virgen’s truest of true believers. Fernández’s own brother enlisted in the Navy and was sent to Vietnam. She sees her work—in this play and in other plays she has written—as part of a lifelong effort to establish the presence of Mexican Americans in all of the major historical developments in the United States of America, including its wars. Chicano activists pointed out that the numbers of their youth drafted to serve in Vietnam far exceeded their percentage in the population, and because they were mostly placed in low-level ranks as the grunts of the armed forces, their death rate was higher as well. Over the course of that momentous year 1968, Chicano students walked out of high schools in protest, the Brown Berets were born, Black athletes raised their fists at the Mexico Olympics, the massacres at Tlatelolco took place, and Mexican-American consciousness exploded. The emergence of an anti-war movement could not fail to attract Connie’s attention. The Sears, Roebuck & Company Mail Order Building, located at 2650 East Olympic Blvd. in Boyle Heights, was built in 1927 as a distribution center for the company’s mail order department. Designed in the Art Deco style and one of the largest buildings in Los Angeles, it attracted more than 100,000 visitors in the first month of operation. Considered one of the iconic landmarks of L.A.’s Eastside, it was designated a Historic-Cultural Monument in 2004 and is listed in the National Register of Historic Places. The set design by Emily McDonald is the first element of the production we see upon entering the theatre: A few simple desks where the workers are assigned to sit, mountain-high scaffolding filled with white banker’s boxes, each one containing the returned item and its paperwork backup, and set a story above the stage on that construction, the heavenly roost of La Virgen and her plugged-in accompanist Angel. Off to stage right we see Connie’s bed and night table where she sleeps, dreams, lights votive candles and conjures up La Virgen’s visits. While Fernández delves into the shifting interrelationships among the co-workers as the year unfolds, one aspect that I missed is their relationship to the work itself that is implied by the towering banker’s boxes. How do they dispatch these return claims? I would have liked to hear a few anecdotes about the items and their unsatisfied purchasers. That would have added much local color and perhaps helped to overcome the somewhat one-dimensional representations of Connie’s co-workers. Inevitably, the piles of boxes summon up visions of the piles of wooden boxes that “returned” home after being used once all throughout the Vietnam War. All during the play we see historical projections—MLK, the Chicago Democratic Convention, RFK, Nixon, etc.—that keep us abreast of the news. What happens out there in the real world impacts the inner lives of our characters in East L.A. Yee Eun Nam provided the projection design. Lighting designer Cameron Mock did especially effective work depicting the clearly meant to be kitschy soft-lit appearances by La Virgen. Sound designer John Zalewski also contributed to the spacey sonic atmosphere around her. Costume designer Carlos Brown made us right at home with his creations. While not groundbreaking theatre, it does relate an important and effective story that a lot of people can relate to. Hearing the classic protest songs of the period sung by La Virgen de Guadalupe—well, that is special. What’s goin’ on? The times they are a-changing. The Mother of Henry plays through April 20 on Thurs., Fri. and Sat. at 8 pm, Sunday at 4 pm, and Weds., April 17 only at 8 pm. The Los Angeles Theatre Center is located at 514 S. Spring St., Los Angeles 90013. To purchase tickets, call (866) 811-4111 or go to http://thelatc.org/.